Welcome to Part 6 of our Beginner’s Guide. In this section of the Beginner’s Guide, we’ll be covering Missions. You’ll be spending the majority of your time on Warframe in missions, but that isn’t the main reason we’ve chosen to cover this in our Beginner’s Guide. The game does a decent job at introducing each of the basic mission types in the game such as Spy or Extermination which you’ll encounter many times as you progress through the Star Chart. Instead, this section of our guide will be dedicated to all the aspects of missions that the game doesn’t do a good job of introducing you to such as rewards or special missions like Alerts. If you are struggling to understand any of the game’s basic mission types, you can learn more about them by visiting the Codex in your Orbiter and going to the “Missions” tab.. There you will be able to read about all the game’s mission types and we recommend doing so when you first encounter a new mission type. 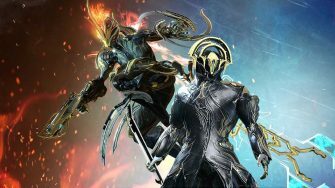 When you start playing Warframe, your matchmaking status will be set to “Public.” This means that whenever you click to start a mission on the Star Chart, you’ll be paired with up to 3 other players who are also queuing or just starting that mission. This is done automatically and is seamlessly integrated into your playing experience. 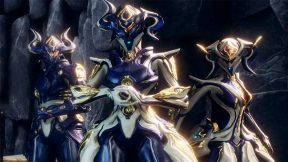 We recommend you play Warframe with your matchmaking status set to “Public” in most instances since the game is much more fun when played with others. However, there are some instances where we recommend setting your matchmaking status to “Solo” and one of those instances is when you first start playing the game. We recommend this because different players learn at different paces. If you and another player want to advance the mission at a different pace, it can lead to a frustrating experience when you are first learning the game and mission types. This is not the only reason we recommend setting your matchmaking status to “Solo” for your first hour or 2 of playing, though. One of the advantages of playing with your matchmaking set to “Solo” is that you can pause the game when you hit the Escape key. 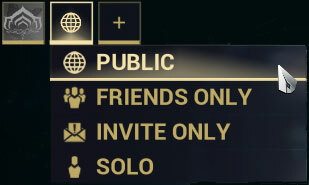 Note this only works if you have matchmaking set to “Solo.” It will not work if your matchmaking is set to “Public,” but no other players joined your mission. If you’re the type of person who would like the ability to Google for help in the middle of a mission, then “Solo” is the way to go. The other circumstance in which we recommend using the “Solo” setting is when you first attempt a new boss or game-mode. Assassination missions are boss fights and most bosses either have invincibility phases or specific weak points. If you play with others during these missions for your first time, the other players will simply kill the boss for you and you’ll never learn how the boss is done. Most gamers tend to explore when they start playing a new game. If you are an explorer, you should enjoy all the detours that are available to you during missions. 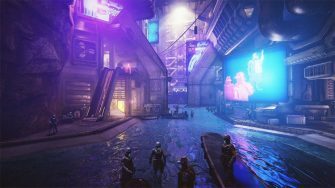 However, even the most avid of explorers will eventually start to ask whether it’s worth exploring every nook and cranny for loot containers and resource lockers. Let’s set that concern to rest: It is by no means necessary to explore like Lewis & Clark to obtain enough resources and credits. In fact, when you first start playing, it is far more efficient to go through your missions as quickly as possible. There are two main reasons for this. The first reason is that better farming methods become available later in the game for both resources and credits. The second reason is you’ll eventually get mods that provide “loot radar” which shows nearby loot containers and resource nodes on your map. However, we won’t discourage you entirely from exploring. We did it ourselves when we first started playing and we enjoyed the process of doing so. The additional resources will always come in handy as there is no shortage of blueprints to spend them on. Exploring will also give you more time to improve your parkour which is important in the late-game. Our point here is you shouldn’t stress about missing out if you want to focus on the mission objective instead of exploring the tile set. 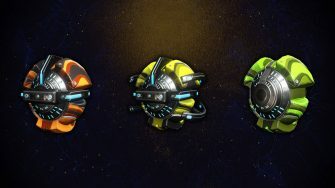 On a related note, we want to briefly bring up Resource Caches which are special resource lockers you can find on all Sabotage missions and some Exterminate missions. You should not spend your time looking for these unless you are morbidly curious. These resource lockers shine white as opposed to green and play a slight hum sound effect when you are near them. In almost all instances, Resource Caches do not provide rewards that adequately compensate the effort required to find them. Could Someone Call a Cab? One term that can be confusing when you first see it is “taxi.” In Warframe, you cannot travel to mission nodes you haven’t unlocked yet. However, there might be some circumstances where you want the resources available on a planet you haven’t been to or you want to complete an alert (discussed below) on a node you can’t access. There is a way around this. If somebody else invites you to join their squad, all that matters is that the host has access to the required mission node. In other words, you can go anywhere that the host can go. Hence the reason for the term “taxi” as the host is taking you along for the ride wherever they end up going. You will never require the use of a taxi, but it can be useful and is worth being aware of. 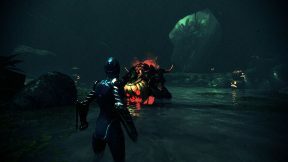 Warframe has several missions which provide rewards from multiple different drop tables. The drop table your reward is chosen from depends on what “rotation” you are on. In most cases, these rotation rewards apply to “endless” missions such as Defense. These missions will only end once you decide you’d like to extract, meaning you could theoretically stay for hours on end! This pattern can be applied to all the endless missions discussed above. You might be wondering if there is any point in repeating the cycle after getting Rotation C since enemies keep getting tougher the longer you go into an endless mission. The short answer is no. The long answer is that many people enjoy the challenge of tougher enemies and would rather continue on than restart the mission. 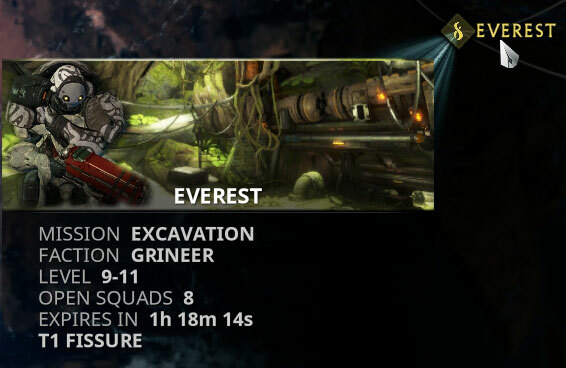 You can view Rotation rewards on the Warframe wikia for any type of mission. So how do you determine what tier a particular mission node falls under? The easiest way is to check the reward tables for the mission type you are interested (e.g: Defense) and then look on the Warframe wikia. At the bottom of each tier reward tab, the wikia lists nodes which are in that particular tier. You can use these reward tables to determine if you think it’s worth your time to go longer in an endless mission. We mentioned Quests briefly when we talked about the Codex in part 3 of this Beginner’s Guide. Quests are usually a special chain of missions that you have to complete to progress through a story. The tutorial you go through at the beginning of the game, for example, is all part of the “Vor’s Prize” quest. Once you set a Quest as active using the Codex, you can use the quest tab shown above in the Star Chart to navigate directly to the next Quest mission. You should do any Quests that you have all the prerequisites for as they often offer useful rewards and unlock new content. One special type of mission you’ll encounter frequently is Alert missions. These are random, time-limited missions which offer special rewards upon completion. You can view all currently active alerts using the alert tab shown below when looking at the Star Chart. Each alert mission will tell you what node it is located on, which Planet / Moon it is on, the estimated level of enemies, what type of mission it is, the reward for completing it and the time remaining before the alert disappears. Alerts generally last between 40 to 60 minutes, although some special alerts can last longer. You won’t be able to access Alert missions that are on mission nodes you haven’t unlocked yet unless you use a taxi. Most alerts aren’t worth doing, however there a few that are. Listed below are alerts you’ll want to keep your eye out for. You should complete every single Nitain Extract alert you can possibly do. 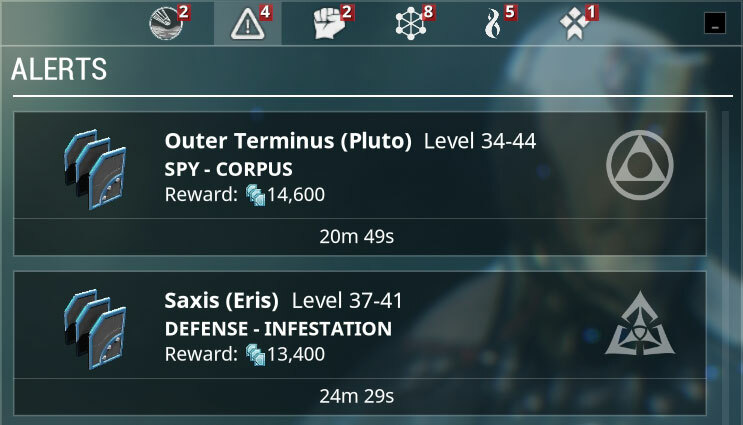 Alerts containing Nitain Extract are one of the only consistent alerts in the game, occurring every 4 to 6 hours. 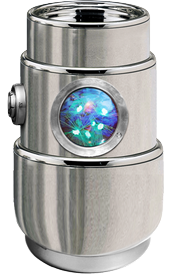 Nitain Extract is a rare resource that can almost only be obtained through alert missions. 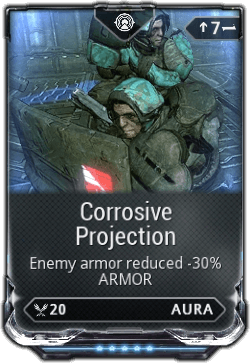 It is used in many different blueprints, particularly Warframe blueprints. You will require many of them later on in the game. It can be frustrating if you get to the late-game and realize how important Nitain Extract is, but realize there is no way to farm them reliably aside from doing alerts. We encourage you to be mindful of these alerts to save yourself hassle later on. You can follow Twitter accounts such as @FalterBot for the latest Nitain Extract alerts. Like alerts, Void Fissure missions occur randomly at different locations for a limited period of time. However, Void Fissures serve the specific purpose of opening Void relics. Void relics are typically acquired as rewards from endless missions. Think of relics as unopened treasure chests. In order to obtain the treasure inside, you must open it and the only way to do so is through Void Fissure missions. When you start a Void Fissure mission, you’ll be given the option to choose a Void Relic from your collection that you’d like to open. Inside the mission, Void Fissures will randomly appear, distorting reality and turning nearby enemies into higher leveled “Corrupted” enemies. These Corrupted enemies can drop a resource called “Reactant.” If you collect 10 Reactant during a Void Fissure mission, you will “open” the Relic and receive its contents as part of the mission rewards. 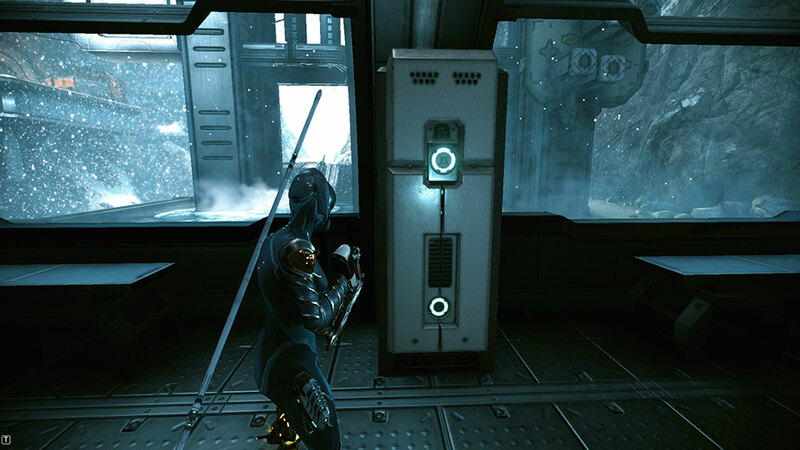 Void Relics commonly contain rare Prime parts of weapons and Warframes. If you collect all the parts, you can craft the “Prime” version of that weapon or Warframe. Don’t get confused by this. Replace the word “Prime” with “Super” mentally, because that’s all Prime items are: They are superior versions of their normal counterparts. 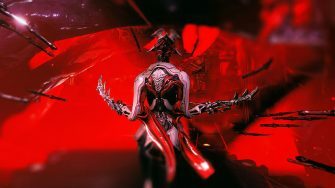 If you want to learn more about Void Fissures, feel free to check out this page on the Warframe wikia. Prior to Mars, if you come across a mission node which currently has a Fissure, simply select the Regular Mission instead. You will come across other mission types not mentioned in this article such as Bounties, Invasions, Arbitrations, Syndicate or Event missions. You’ll also be introduced to Sorties much later in the game. 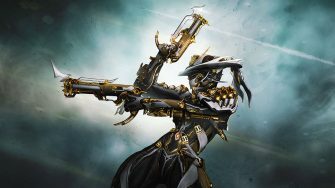 However, it’s better to learn Warframe in a “piecemeal” fashion and we feel saturating this article with every single mission type that exists is a bit overkill. For now, you should just remember the mission types we’ve mentioned in this article and then add to that knowledge as needed.